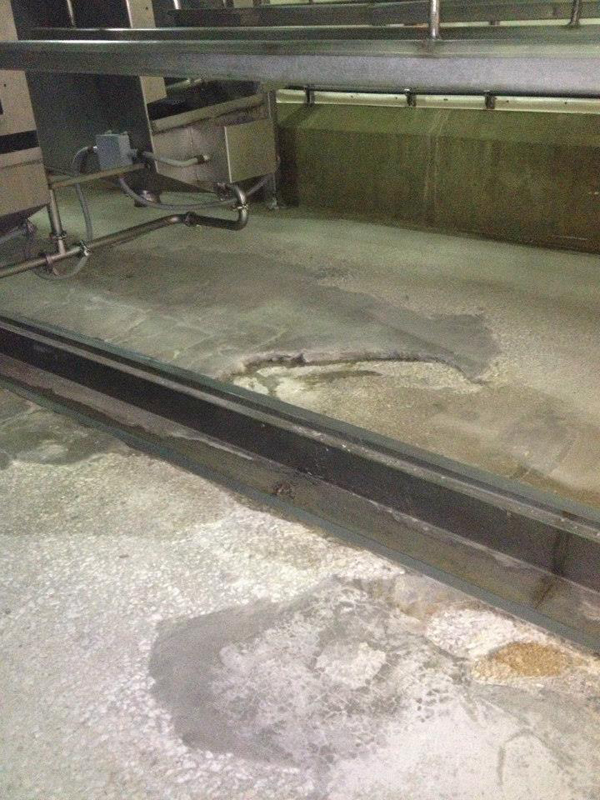 Floors in food industry plants are constantly battered by the regular use of heavy-duty sanitizers. In addition, these floors deteriorate as a result of thermal shock: power washing with hot water done on a floor that is always very cold from refrigeration. 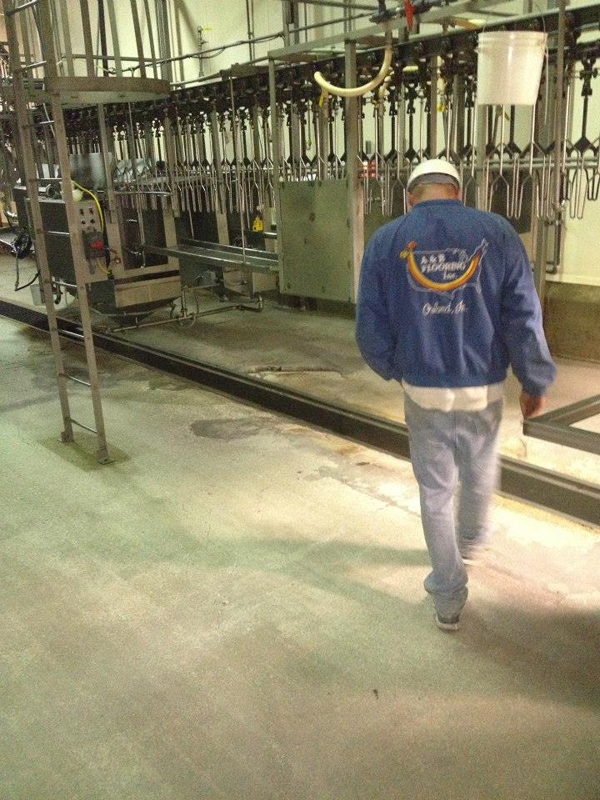 The Miller Poultry plant in Orland, IN, had just such a problem and called in A & B Flooring, Inc. to install a custom floor for them. The concrete floor was readied using A & B’s surface prep equipment—shotblasters, diamond grinders, scarifiers, and scabblers. Following Miller Poultry’s tight specifications, A & B elected to go with a ¼” thick urethane mortar system, which requires no primer and is low odor, eliminating the requirement for venting. The urethane mortar was followed with a broadcast of aluminum oxide to rejection, for maximum slippage control because the aluminum oxide does not wear down to rounded nubs like regular sand. A top coat of polyaspartic coating was used to complete the installation because of its superior abrasion, chemical, and UV resistance as well as a one-hour curing time, even at low temperatures. 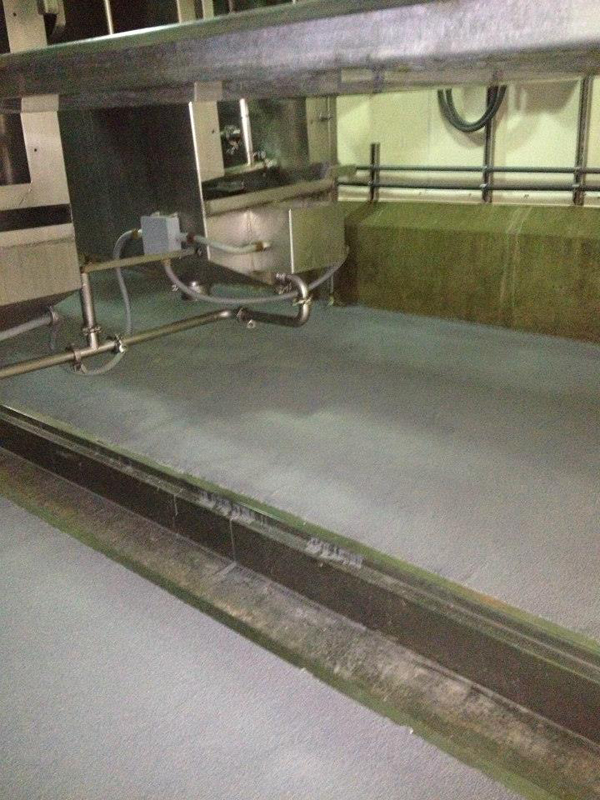 All materials were required to be low VOC to comply with food environment standards. 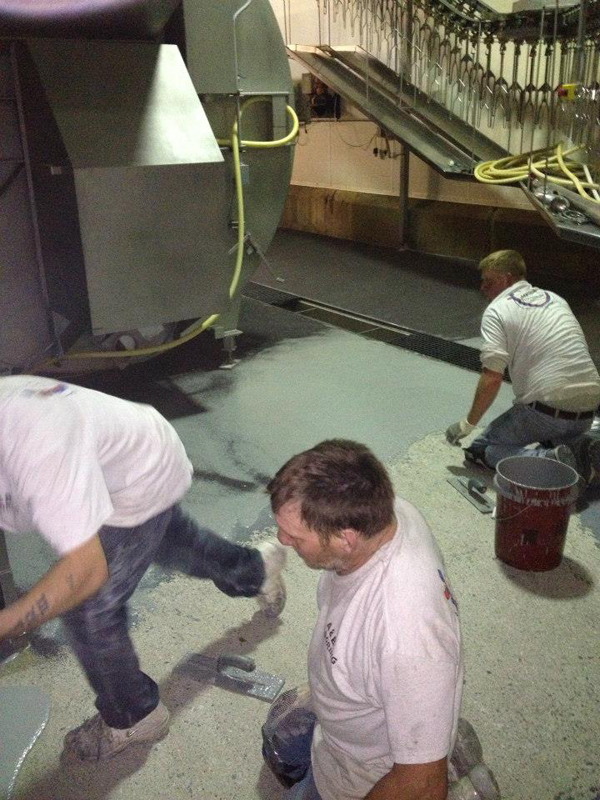 Each custom floor installation A & B performed for Miller Poultry took only two days. 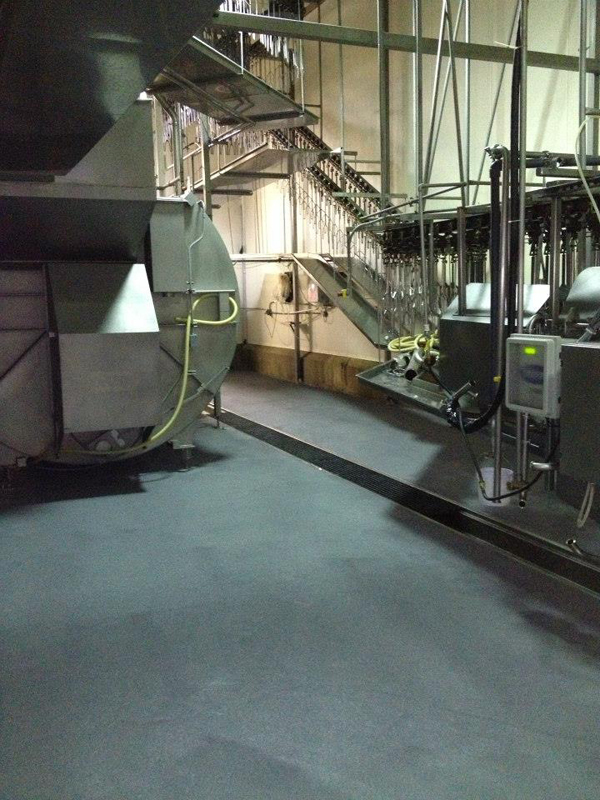 A & B’s experienced staff did a careful evaluation of this tricky custom floor installation and specifically selected a range of durable, fast-drying, low VOC products to meet Miller Poultry’s requirements. Contact A & B today to learn more about their custom floor installation expertise.